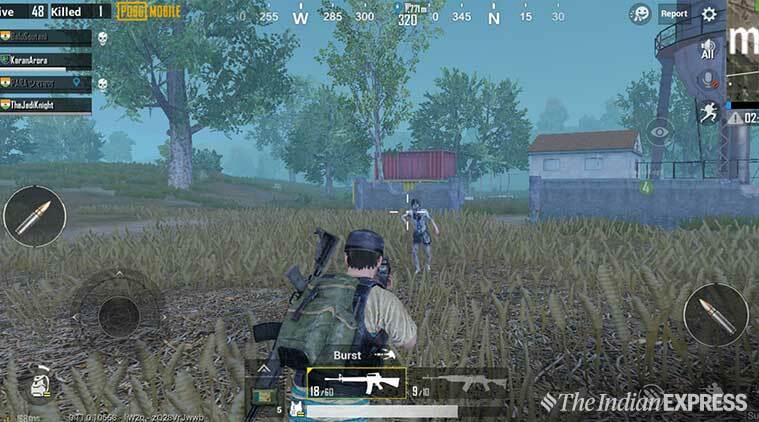 PUBG Mobile ‘Survive Till Dawn’ Mode Review: Tencent Games revealed the PUBG Mobile zombie mode approximately a month ago, under a beta version of the game. 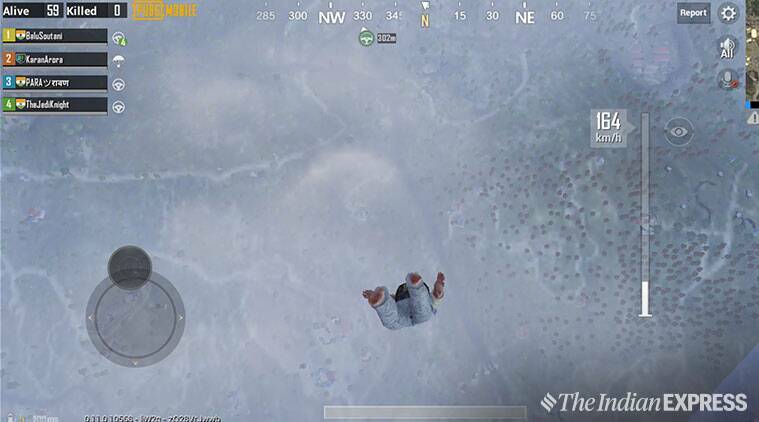 PUBG Mobile ‘Survive Till Dawn’ Mode Review: Tencent Games has released the PUBG (PlayerUnknown’s Battlegrounds) Mobile 0.11.0 update for both Android and iOS. The update brings a lot of new features, including the most awaited zombie survival mode in partnership with Resident Evil 2. With the introduction of this limited time, ‘Survive Till Dawn’ mode players will be able to shoot zombies, while taking care of any other enemies lurking in the shadows. 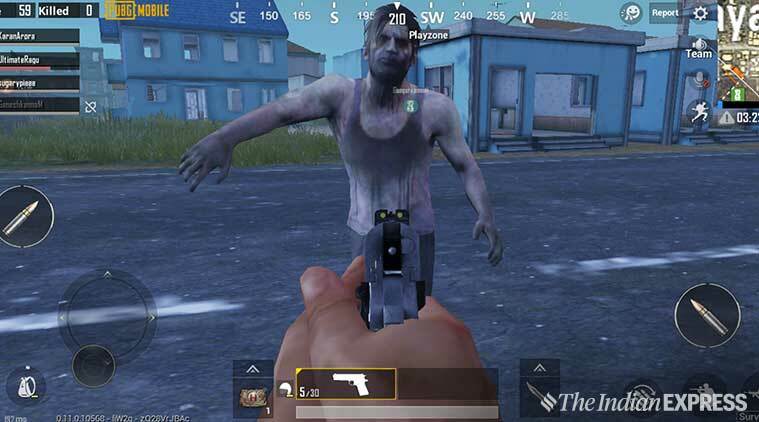 To recall, Tencent Games revealed the PUBG Mobile zombie mode approximately a month ago, under a beta version of the game. 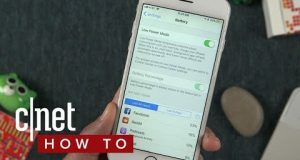 I had a chance to try out the ‘Sunset’ mode as it was known during the beta and here’s what I thought about the new mode. The first time you start a game in the Survive Till Dawn mode, one is almost immediately greeted by a few low-level zombies. I found that I could easily kill these with a few bullets. But I recommend that the moment you land on the ground, start looking for supplies and guns. If you don’t do so, you will have to take on the zombies with your bare hands, which can be overwhelming. While killing zombies might seem a piece of cake at first, the zombie waves keep getting stronger as the game progresses, so try getting the best guns at the start of the game itself. I recommend that you try and keep out of the zombie boss attack area until you are used to handling the normal zombies. A pro tip to handle these zombies is that you try and get headshots to put them down easily or throw grenades in their direction. Or if you like to watch the world burn, just throw a Molotov cocktail at them. 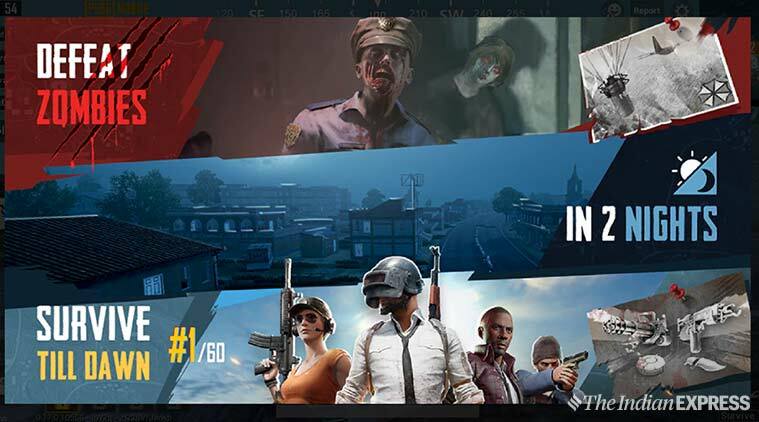 PUBG Mobile zombie mode is a limited run event and will soon be going away. Smoke bombs don’t help! I learned that the hard way, as the zombies are still able to catch up. So my tip would be, do NOT throw a smoke bomb and try to revive yourself from a previous boss attack. Instead keep shooting at the zombies until the wave is over, then replenish your health. With the passing time, the zombie waves will keep on getting stronger, so you try getting the best guns at the start of the game itself. Many opportunist players will try and one up you when you are busy ruthlessly killing zombies. Other players might creep up on you, wait for you to kill the zombies and then kill you with a headshot. So yes, don’t get too distracted by the zombies and get shot by someone else. In the zombie boss attack area, which is quite similar to the Red Zone of the classic matches, a horde of zombies will spawn along with at least one Resident Evil 2 boss. The first time you start a game in the Survive Till Dawn mode, you will almost immediately be greeted by a few low-level zombies, which you will be able to kill easily with a few bullets. To know when the next wave of zombies is going to appear, you can see the zombie timer located under the map. Don’t make the mistake of thinking that killing these zombies is an easy task, as they run very fast and can dish out heavy damage with the green sludge like material they attack with. Once a successful zombie wave is over along within the zombie boss attack area, the safe zone will start shrinking. And sometimes while it is shrinking, the game will start another zombie wave, making it much more difficult to survive than in the PC variant of the game. The first time you start a game in the Survive Till Dawn mode, you will almost immediately be greeted by a few low-level zombies. 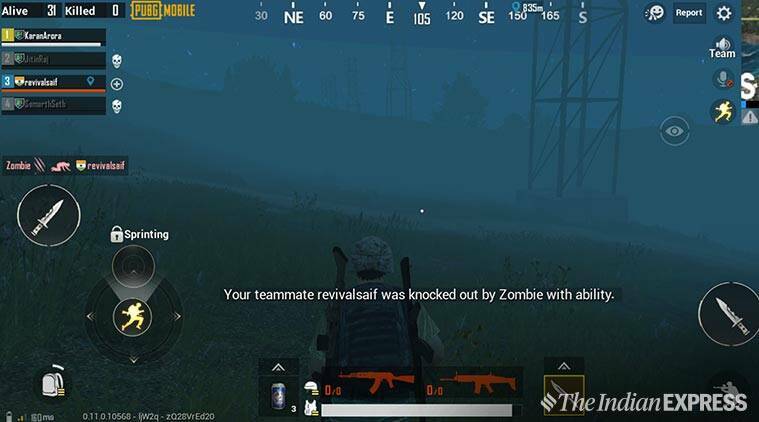 Zombie waves only happen in the night weather and not in the morning weather, which is when you will be able to garner supplies, guns, vehicles and kill other players. Take note that most players will be killed by the zombie waves. One of the best things I found inside PUBG Mobile Survive Till Dawn mode, except for its increased difficulty and interesting gameplay, is the updated graphical elements. The transitions from day to night are spectacular, with the light dimming gradually, mist rising up from the ground slowly and zombies appearing in form of silhouettes from all sides. The scene looks like a zombie attack movie shot in Hollywood. In the zombie boss attack area, which is quite similar to the Red Zone of the classic matches, a hoard of zombies will be spawned along with at least one Resident Evil 2 boss. 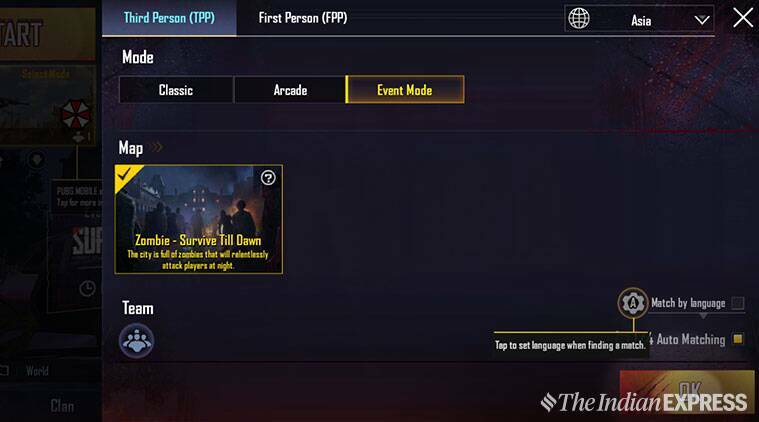 PUBG Mobile zombie mode is a limited run event and will soon be going away, so I recommend that you start playing it ASAP and take advantage of it, till it is available. 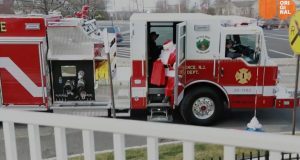 In this town, Santa delivers presents from a fire truck.